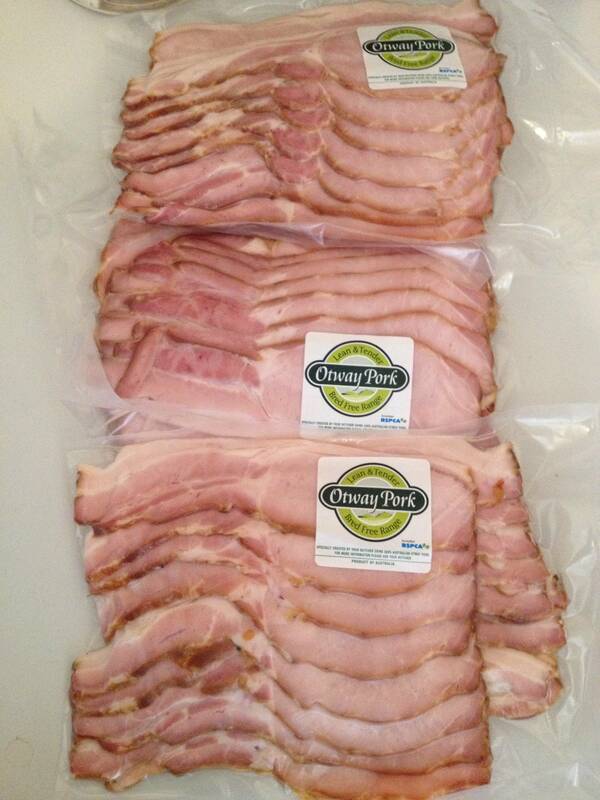 This is the infamous Ottway Pork Bred Free Range Bacon. My breakfast weapon of choice. I eat this bacon as daily my go-to breakfast accompaniment with 4 scrambled eggs & gourmet chicken sausages from my local chicken specialist butcher place. This bacon comes from happy pigs, and thus the fat profile is superior, and the bacon just tastes amazing. My preferred cooking method is actually to grill the bacon in the oven. 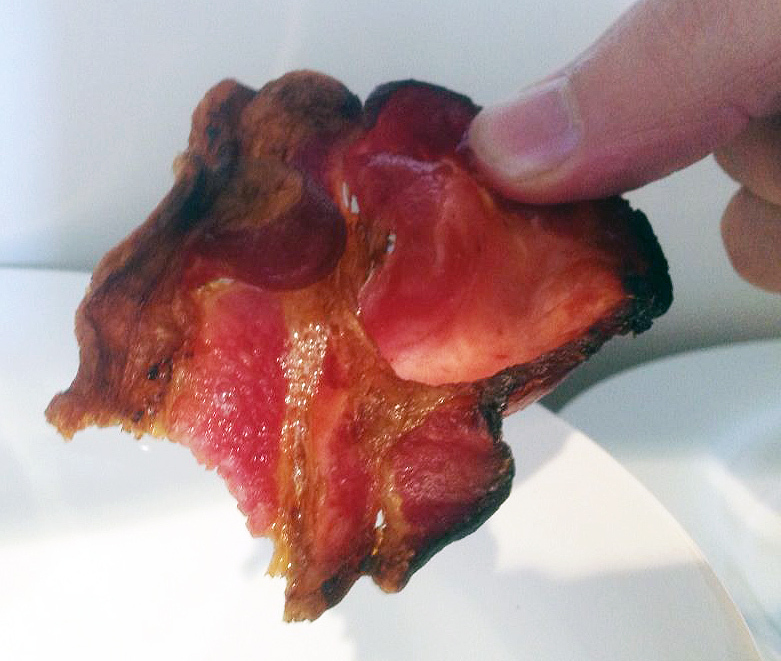 It’s quick & easy, and makes the bacon perfectly crispy, juicy, tender and the fatty parts turn a golden brown & achieve optimal crispiness when the timing is nailed. I’d eat this stuff every day, but it’s a little on the expensive side, weighing in at about $20/kg. but it really is worth it. not overly salty, not too thick, not too thin. i could eat this stuff until the cows, err pigs come home. I wish ottway pork would sponsor this blog. maybe one day they will, but until then, im happy to pay top dollar for this superior, animal friendly nectar of the gods. if you haven’t had the pleasure then go and google ottway pork – NOW! I’ll wait here – and find the closest place you can get your hands on this stuff. you can thank me later. enjoy. It’s recently come to my attention that the Ottway Pork is actually BRED free range. this is different to ‘free range’ apparently. (it was news to me) This means the pigs were BORN free-range, but lived primarily indoors. interesting! you can read more here and the link also has some other good info re organic & free range definitions.